On the way we got B a happy meal of chicken nuggets. For the very first time, he ate the WHOLE THING! He's polishing off the last nugget here...shoving it into his mouth. And why yes! Those are HUGGIES in my cart! Check out this John Deere tractor and trailer. I think when B is older, we might have to get this for him. But for now...he will just play on his new 4 wheeler! 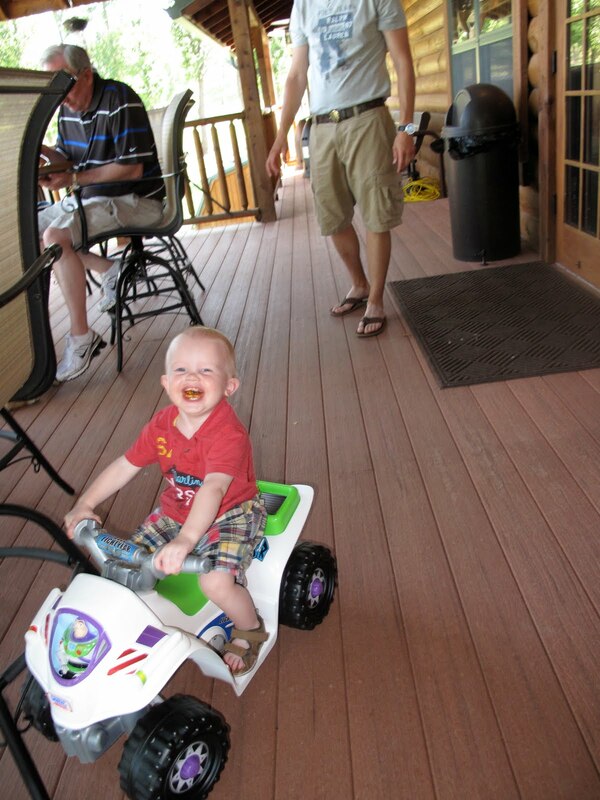 Grammy got him this adorable 4 wheeler today. I had sent her and GrandDaddy a picture one day at playgroup when he discovered another little boy's 4 wheeler. He played in their playroom the entire time and sat on it. So they decided he needed one of his own. He LOVES driving it around!